The clock has been running really fast ever since Pozu has been born. End of November and it was already time for us to celebrate Pozu's 3rd birthday. The feeling that our daughter has started becoming big hasn't really sunk into either of us but Pozu makes sure to remind us that she's a big girl now whenever a reference is made to her as a baby. This time we knew it would be a bit special for her since now she could relate to the birthday event more easily than the last two years where she didn't really know what the celebration was about. Moreover, since it was a weekday, she could even celebrate her birthday in school by distributing chocolates to her friends and teaching staff. 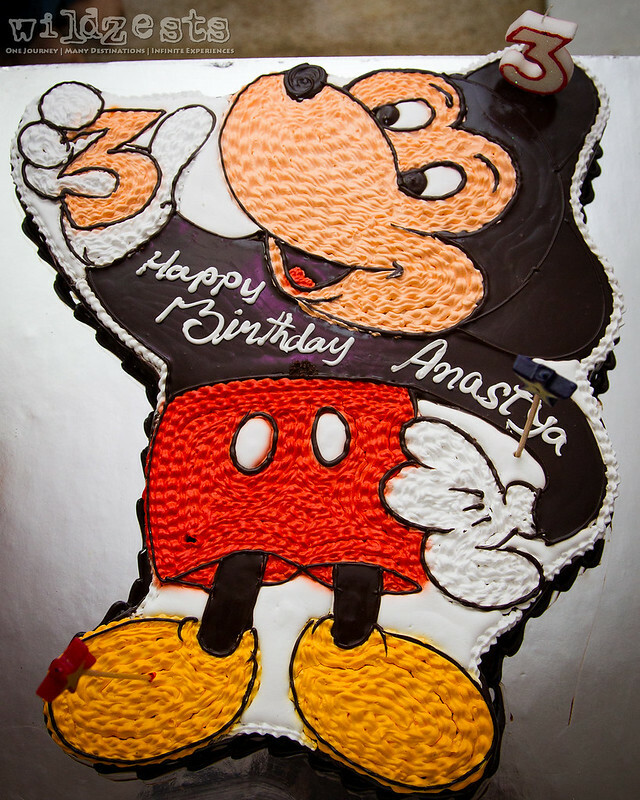 The birthday cake was ordered based on her most recent favorite disney character - Mickey Mouse. 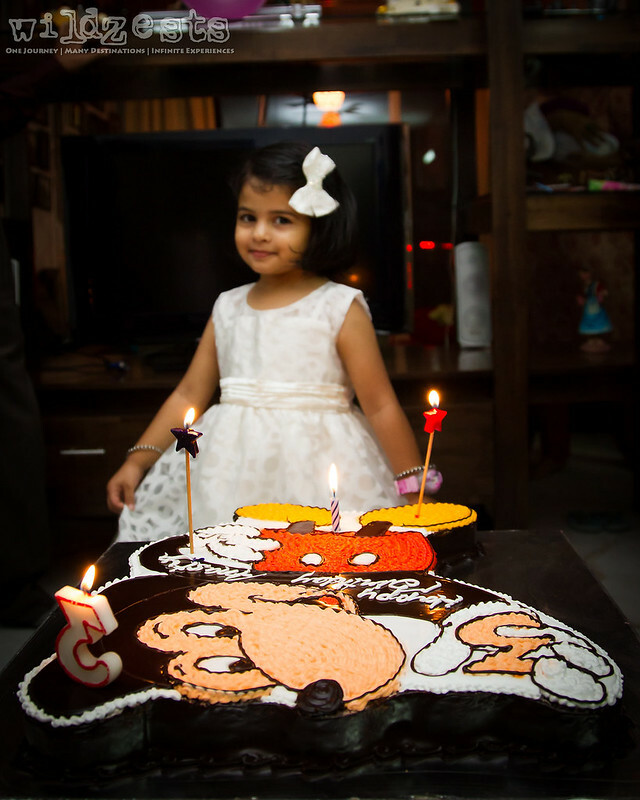 She actually wanted Mini and Goofy to be included as well, but the cake shop had no designs with all three of them. The evening event was a small congregation of the regular weekend crowd that we hang out with and the kids had a nice time playing around in the lobby. At the end of the day, Pozu didn't want the party to end and expressed her displeasure when everyone was leaving. It was a day that she still remembers and she's now able to make references to her birthday and her age. It has been so wonderful having her around and we will always cherish these days as she keeps growing and amusing us with a new learning everyday.